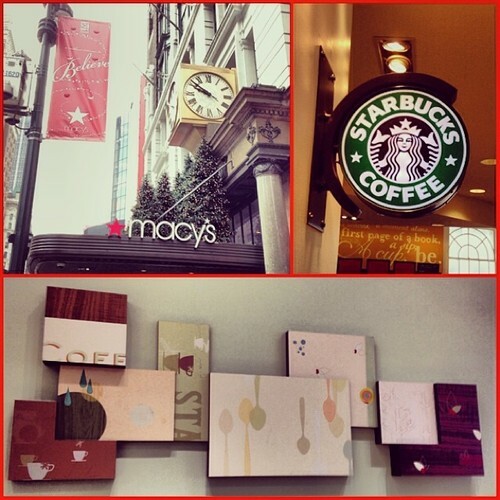 There is one aspect of each Starbucks that you can’t easily predict by simply looking at it. The quality of its WiFi. Sure you can always log on — unless of course the Starbucks’ Internet is actually down, which happens — technology isn’t perfect. But some Starbucks tend to give me flashbacks to the days of AOL and webpages loading in increments over a minute and a half. Yea, nobody misses those days. Of course there are some telling signs that the WiFi may be less than impressive: a small location with no seating, a large crowd with lots of laptops, or conversely a large crowd with no laptops at all. Still… you’ll never really know until you attempt to log on. The Starbucks on 35th & 7th is one that I had a sneaking suspicion from the moment I walked in that the WiFi would be slower than most. Maybe it’s because this is a Midtown Starbucks or because it’s heavily crowded, but somehow I knew the WiFi would be touch and go. What does that mean? Basically — no Youtube videos and Google image search will make you want to punch a baby, which I don’t endorse. 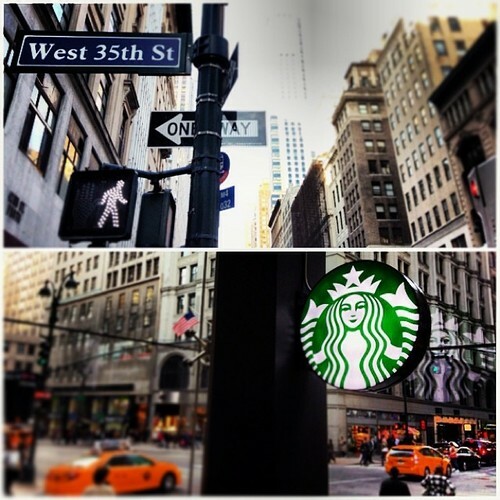 Today I’m drinking a tall iced coffee at the Midtown Starbucks on 35th & 5th Avenue. I can’t remember the last time I’ve ordered anything smaller than a grande. Then the other day I realized something; I hardly ever finish my drinks. If I get a venti I drink three-fourths of it. If I order a grande, I only drink most of it. So what difference does 4 ounces make? About 44 cents. This Starbucks is one of those railroad stores — long and narrow. In fact, it’s so long it almost looks like a hallway. Even the tables and barista bar are pushed off to the side to make room for the through-traffic — which there is a lot of. Want to guess what’s at the end of the hall? That’s right, the single restroom. At least it’s big enough to handle the massive crowd the comes through it, and being just one block north of all the 34th street retail shops, most guests come with 2-3 enormous shopping bags swinging at their sides. It’s enough to make most New Yorkers run the other way. 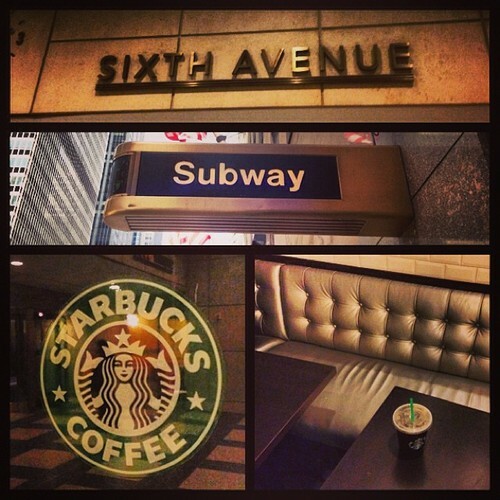 I knew there was a Starbucks somewhere near the corner of 50th and Sixth Avenue. But as I paced back and forth, that familiar green siren was no where to be found. Finally, I conceded and asked the door guard at The Radio City Music Hall for help. 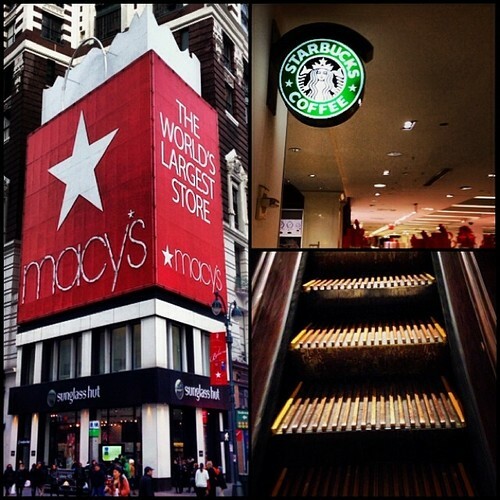 Then I literally saw a woman emerge from the Rockefeller subway terminal with a Starbucks cup in her hand. Possibly a coincidence? Obviously, I was in for an adventure. As I went underground at the corner of 50th & Sixth, I was not greeted with that usual smell of stagnant water and decaying rat that I’ve grown to associate with New York’s subway system. As I continued walking I realized this was more than just a subway terminal… it was a concourse full of food and shopping options underneath Rockefeller Center. Cheers to that! The Starbucks was easy enough to locate, and I soon found myself inside, in a long line waiting for my usual grande iced coffee. Unlike some of the other food shops in the concourse, the Starbucks is sectioned off by glass paneling, and it’s actually larger than your typical NYC Starbucks. So being underground means nothing, and even though most people came to grab a drink on the go, a lot of people also stayed to take advantage of the Starbucks’ several tables and seating options. If you would have told me this morning that I would have an enjoyable experience inside a subway terminal Starbucks, I would have asked you to pinch me. Who knew?! 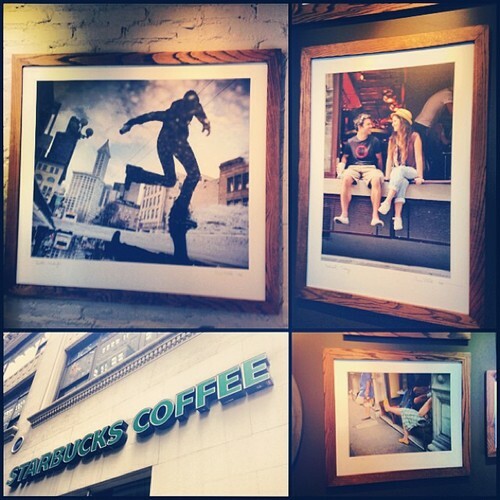 For my 100th Starbucks visit for this blog, I wanted to go somewhere special; a significant place in this city. In the end, I decided on Grand Central Terminal. Not only is this one of the most beautiful and well-traveled locations in Manhattan, but it’s also celebrating its 100th anniversary this year. 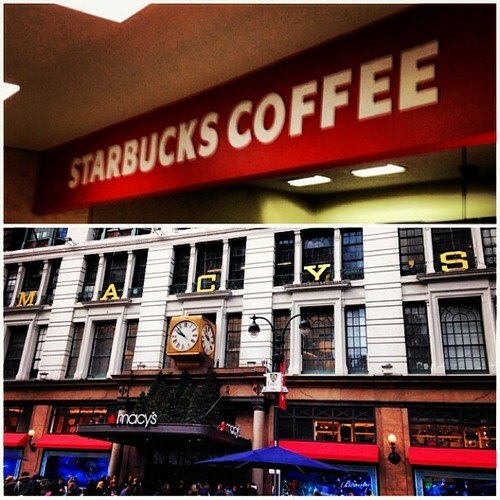 So I decided what better spot to make my 100th Starbucks than this 100 year old masterpiece. 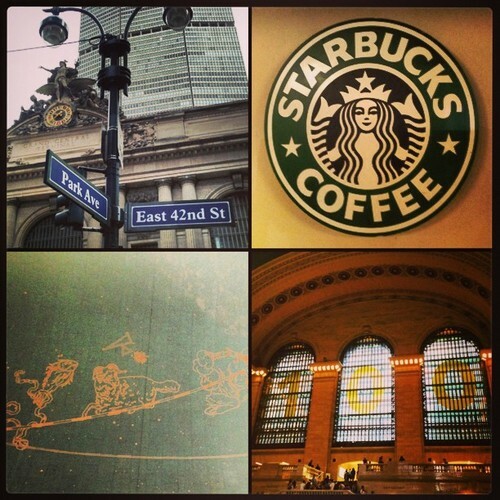 There are actually two Starbucks located in Grand Central. The one I’m sitting in now is in the Biltmore Passage in the northwest corner of the station. The other is off to the east in the Lexington Passage. The reason I chose the Biltmore Starbucks for my 100th visit is because it’s completely embedded within Grand Central whereas the other has a street exit and pretty much resembles a normal Midtown Starbucks. 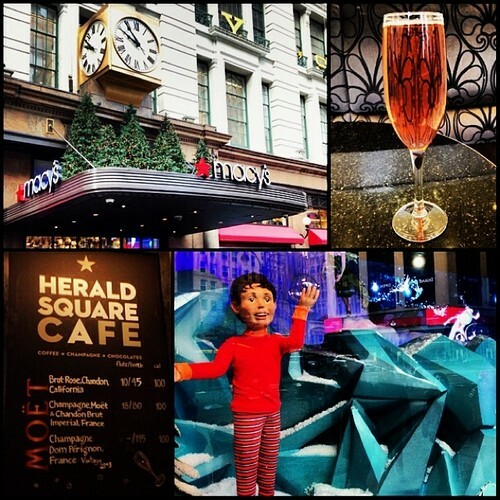 Of course, Grand Central contains much more than trains and Starbucks. Did you know there is actually an Apple Store in the Main Concourse? 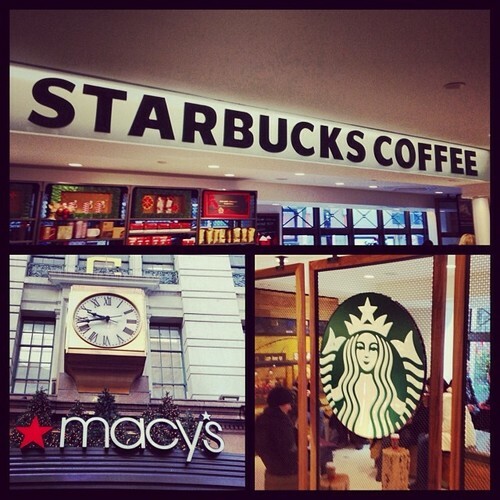 There’s also hundreds of other retail shops, coffee houses, restaurants, bakeries and novelty shops. This place is huge (grand, if you will) and although I’ve never had to catch a train out of here, I’d probably need to arrive extra early. This Starbucks is both impressive and basic at the same time. I guess you can say it’s a product of its environment. No need for tons of seating or coffee decor in a Starbucks in a train terminal. 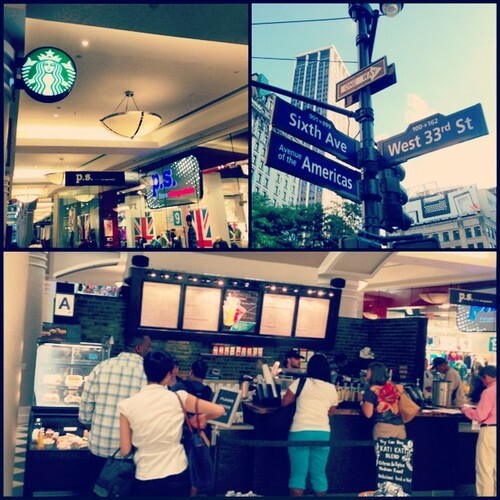 Instead, this Starbucks has a barista bar twice the size of any other, with two areas to pay and pick up your drinks. The line never appears too long because this Starbucks is much more focused on efficiency than comfort. And it works. With 100 Starbucks down in the midst of summer, I have hope that I can make it to all the Manhattan Starbucks before the year is up.